On Friday, March 15, 50 Muslims were murdered by a white nationalist terrorist at two mosques in Christchurch, New Zealand. On Oct. 27, 2018, 11 Jews were murdered at Tree of Life Synagogue in Pittsburgh, Penn. Both perpetrators had been active in spreading hatred online. In the case of Tree of Life Synagogue, the shooter had written a post announcing his intentions hours before the attack. Some people contend that, if online hate speech foreshadows offline violence, there may be some value in monitoring it, rather than forcing it underground. As well, if kicked off one social platform, those inciting hatred can just move to another one. Matthew Gindin is a freelance journalist, writer and lecturer. He is Pacific correspondent for the CJN, writes regularly for the Forward, Tricycle and the Wisdom Daily, and has been published in Sojourners, Religion Dispatches and elsewhere. He can be found on Medium and Twitter. Beth Hamidrash celebrates its 50th anniversary this year with a gala dinner March 31. Melul, who hails originally from Tangier, Morocco, has been involved with the congregation from the beginning. In the early 1960s, when he worked as program director at the Vancouver Jewish Community Centre, he was approached by some other members of the Sephardi community, who were looking for a space at the JCC for services. Melul helped the fledgling congregation get started. In recent years, the synagogue has seen an increase in the number of young families attending services, with an average of 25 children present on Shabbat. In September 2018, the congregation hired Shira Puterman to lead their children and youth programming. The upcoming 50th jubilee celebration will raise money for the building of an expanded multi-purpose room to better serve these, and other, families. “This is a huge honour and privilege. Frankly, to have such a distinguished personality visit us is incredible,” Gabay told the Independent. Mirvis, formerly the chief rabbi of Ireland, is known for his close connection to the British Royal Family – he took Prince Charles on a trip to Israel last year – as well as for his interfaith work, and he has a reputation for moderation and diplomacy. When a scandal broke out in the United Kingdom last year after an Orthodox day school censored all mention of homosexual victims of the Holocaust in its textbooks, Mirvis supported an initiative to introduce LGBTQ+ education into Jewish schools in the United Kingdom. In 2012, he appointed Lauren Levin as Britain’s first Orthodox female halachic (Jewish law) adviser at Finchley Synagogue in London. In addition to Mirvis, several prominent local politicians are expected to be in attendance at the 50th jubilee, including Janet Austin, the lieutenant governor of British Columbia. 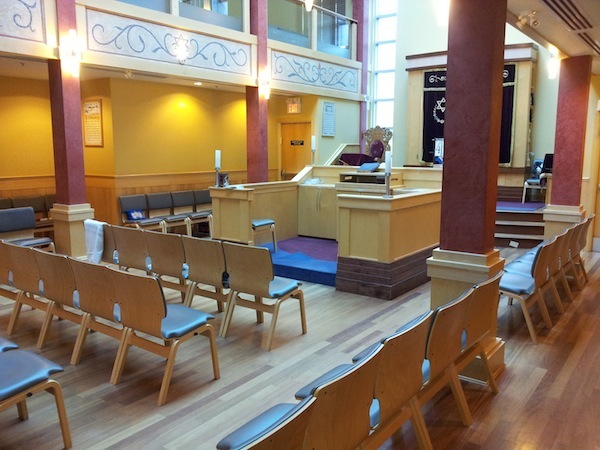 Beth Hamidrash is Vancouver’s only Sephardi synagogue, keeping alive the Jewish traditions of the Sephardim, the Jewish community whose roots go back to the expulsion of Jews from Spain in 1492. The Sephardim (from the Hebrew word for Spain, Sefarad) immigrated to North Africa, the Ottoman Empire and other parts of Europe, where they sustained their unique liturgies, customs and musical culture for centuries. Beth Hamidrash carries on these traditions, passing them onto each new generation. The first meeting of the Sephardi community of Greater Vancouver was held in the late 1960s, followed by the first organized Sephardi prayer service. In 1973, the Sephardic Congregation was incorporated as a society in British Columbia, with the goal of establishing a synagogue. In the late 1960s and early 1970s, High Holiday services were held in the kindergarten classroom of the previous building of the JCC at 41st Avenue and Oak Street, and in the Vancouver Talmud Torah gymnasium. During the 1970s, the congregation began holding regular services at 3231 Heather St., in what was then a dilapidated former synagogue, which the congregation renovated and made into the beautiful congregational space there today. The synagogue website notes that Beth Hamidrash congregants hail from Iraq, Morocco, Algeria, Libya, Egypt, Syria, Lebanon, Yemen, Israel, India, France, China, Japan, the United Kingdom, South Africa, Zimbabwe, Russia, and many other parts of Canada and the world. To RSVP for the March 31 afternoon induction ceremony, email [email protected]. For tickets to the dinner gala, call the synagogue office at 604-872-4222 or email [email protected]. In discussing the number of displaced people in the world, usually referred to as “the refugee crisis,” Bernstein said, “I strongly believe that diversity is a social good for our societies. When we integrate new people into our communities, we learn more about ourselves and others, build bridges between communities, and build relationships that breed positivity in the world. Bernstein, a 27-year-old resident of south Tel Aviv, works for IsraAID, an Israeli nongovernmental organization that works in emergency and long-term development settings in dozens of countries. The humanitarian aid organization responds to conflict, natural disasters, acute poverty, discrimination and displacement. Bernstein, currently working in the communications department at IsraAID headquarters in Tel Aviv, spoke to the Jewish Independent during a recent trip to Vancouver, Jan. 31-Feb. 3. Bernstein completed a bachelor of arts at the University of Maryland, College Park, then lived in Morocco, Jordan and Tajikistan. She began working with an Arab-Jewish Israeli NGO in Israel, the Abraham Fund Initiatives, which focuses on the creation of a shared society, and then landed a job with Ha’aretz. It was while she was working at Ha’aretz, combing through pictures of the Syrian military’s chemical attacks on Syrian civilians, that she decided she wanted to do relief work. 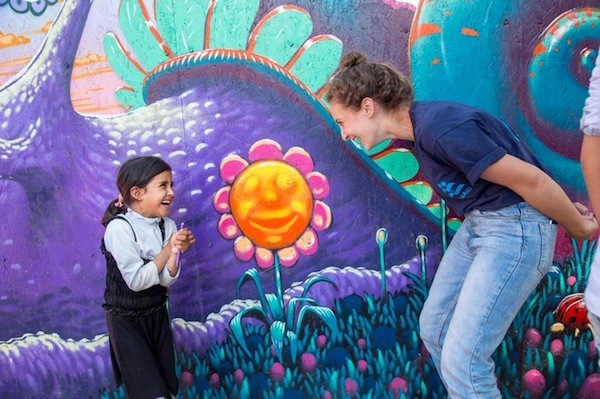 She had heard of IsraAID and considered working for them “an item from my bucket list.” So, when a job opportunity with the organization arose, she jumped at it, and got it. She was sent to the Greek island of Lesbos as head of missions, where she oversaw programs supporting refugees. Six months later, she was promoted to the NGO’s headquarters in Tel Aviv. Founded in 2001, IsraAID has an annual budget of about $10 million and has worked in emergency and long-term development missions in 46 countries, including the United States. Volunteers with IsraAID, for example, continue to work in Reno, Nev., with evacuees from the wildfires in Northern California. In 2017 alone, IsraAID worked in 20 countries. Bernstein is continuing her academic studies at Tel Aviv University, pursuing a master’s degree in Middle Eastern history, while working for IsraAID. Meanwhile, the NGO is looking to expand the ranks of their volunteers. They’ve opened a headquarters in Los Angeles and Bernstein said another North American base may follow, possibly even in Canada. In Vancouver? “It’s not impossible,” she said. “It’s going to be our future, so it’s up to us to take it into our own hands and show that, even if we can’t vote, we can still make a difference in our communities and the world,” Malka Martz-Oberlander told the Jewish Independent when she and fellow activist and friend Rebecca Hamilton met with the paper to discuss recent – and future – efforts to draw awareness to the climate crisis. The two high school students are part of the group Sustainabiliteens, which was inspired by Swedish climate activist Greta Thunberg. Last year, Thunberg started monthly school strikes, stating that preparing for a future that won’t have a livable climate was pointless. 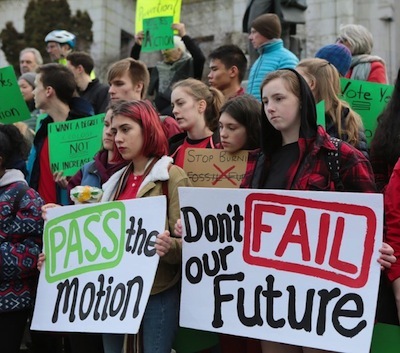 The strikes, called “Fridays for Future,” have spread to at least 270 countries, including Canada. 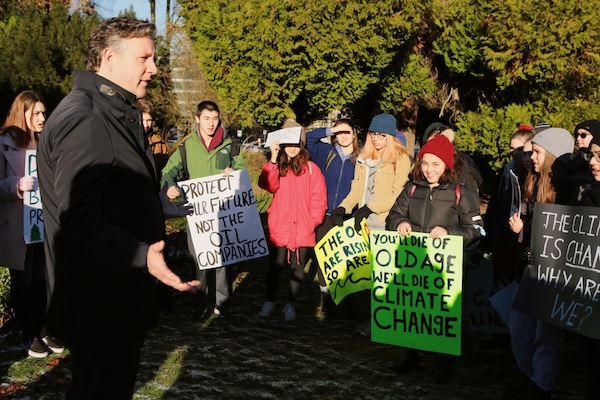 Inspired by Thunberg, strike action took place at Vancouver City Hall on Jan. 16, the day that Vancouver city council unanimously passed a motion put forward by Councilor Christine Boyle (OneCity) to declare a climate emergency. Similar motions have been adopted in other cities, including London, Los Angeles and Oakland, but Vancouver is the first in Canada to do so. Both Martz-Oberlander and Hamilton grew up in the Vancouver Jewish community and say their Jewish values inform their activism. Martz-Oberlander’s family has been involved with Congregation Or Shalom since before she was born, and Hamilton grew up going to Temple Sholom. Hamilton and Martz-Oberlander were inspired to join the climate-strike movement after it came to Canada with a strike in Sudbury, Ont., led by 11-year-old Sofia Mather. Hamilton and Martz-Oberlander are currently preparing for a Canada-wide school strike on May 3, and have a local action planned for Feb. 15. Michael Landsberg is a Canadian sports journalist and former host of Off the Record for TSN. He is also a passionate advocate for removing the stigma around mental illness, and will be coming to Vancouver next month to deliver the talk Darkness and Hope: Depression, Sport and Me. 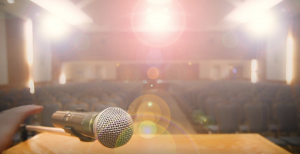 A Jewish Family Services (JFS) Family Life Education event, the talk will be held at Congregation Beth Israel on Feb. 13, with all proceeds going to support JFS mental health initiatives in the community. Landsberg, who suffers from depression and generalized anxiety disorder, has in recent years been an ambassador for Bell Let’s Talk, an initiative that raises awareness and encourages dialogue about mental health. In 2013, his documentary, Darkness and Hope: Depression, Sports and Me, was nominated for a Canadian Screen Award for best history or biography documentary program or series. The Canadian Alliance on Mental Illness and Mental Health has named Landsberg one of its Champions of Mental Health. Landsberg is known for his Twitter hashtag #sicknotweak, which encourages discussion around mental health and creates a forum for those needing help. In Vancouver, Landsberg will be doing a one-hour talk with a question-and-answer period afterwards. He spoke to the Jewish Independent about helping people struggling with mental health issues. There are a number of reasons why both Stamp and Landsberg feel sport is a good entry point for this discussion. “I’m a huge believer that the best way to break people of the stigma is to find really strong people, like Clara Hughes, who have struggled with this, to talk about it,” said Landsberg. Landsberg has also partnered with firefighters who suffer from mental health issues, encouraging them to share their stories. Landsberg and Stamp believe that reaching youth is key to changing the future, and sports can be key in doing that. “We have to help younger people to understand that mental health concerns are a natural part of being alive,” said Stamp. “We have to do that much younger, like 6 or 7 years old. They need to know that when you feel distress, there is a way out. Tickets to hear Landsberg speak are $10 and are available from jfsvancouver.ca or 604-257-5151. “This is a unique opportunity to learn and growtogether. What better way to open ourselves to that holiday spirit, to welcomethe mysterious and send away the fear of the unknown,” said Congregation BethIsrael president Helen Pinsky in introducing the Dec. 5 program at thesynagogue on Chanukah and Christmas, which was co-hosted by Beth Israel and theRoman Catholic Archdiocese of Vancouver. After the lighting of a giant electronic chanukiyah by Rabbi Jonathan Infeld, the reciting of the motzi by Archbishop of Vancouver John Michael Miller and a latke-laden dinner, the crowd moved into the sanctuary to hear three scholars: Dr. Gregg Gardner, Diamond Chair in Jewish Law and Ethics at the University of British Columbia; Fr. Nick Meisl, a professor at St. Mark’s College; and Dr. Jay Eidelman, who lectures on the Holocaust and Jewish history at UBC. Infeld started things off with a short talk. The “subversive” rabbis of later generations altered the holiday to downplay its militaristic elements and its focus on the Maccabees, Gardner explained, replacing that with a focus on God’s miraculous intervention in the miracle of the oil that burned for eight days in the rededicated Temple. In his remarks, Meisl said the balloon of his “naive beliefs” about Christmas popped when, in the course of his studies, he learned that Dec. 25 was not Jesus’s birthday, but rather a date chosen for other reasons. He explored the theories linking the day to the ancient Roman Saturnalia festival of late December, or the Dec. 25 holiday of Sol Invictus (Unconquerable Sun). With humour, he quoted the ancient Christian theologian Origen, who questioned whether Jesus’s birthday should be celebrated at all, noting that, in the Hebrew Bible, only “bad people celebrate their birthdays.” In seriousness, he said it seems that it was around 336 CE that Christians began celebrating Jesus’s birthday on Dec. 25. After a short question-and-answer period in which people asked about the development of certain Chanukah customs and the role the story of the Maccabees has played in the Christian tradition, among other things, the archbishop wrapped up the event. “This has been a wonderful evening of sharing the joy we each feel in the holidays with each other,” said Miller, who made a point of thanking everyone involved in the event by name, right down to the members of the catering and kitchen staff. Ross met with the Jewish Independent last week to talk about the projects the Ross Foundation has undertaken in Israel, projects aimed at lifting up the underprivileged on the fringes of society there. He was accompanied by Sagie Shein, senior program manager of the Jewish American Joint Distribution Committee (JDC). Shein has acted as philanthropic advisor to Ross, and was recently made the fund manager of the Ross Family Foundation, in which role, he told the JI, he identifies projects that will achieve the foundation’s goals in Israel, whether through JDC or otherwise. Ross and Shein met after Rabbi Shmuel Birnham, formerly of Congregation Har El, introduced Ross to Prof. Jack Habib of the Myers-JDC-Brookdale Institute in Jerusalem. Shein has now been working with the Ross foundation for six years. Ross is a surgeon and a clinical professor of ophthalmology at the University of British Columbia. In 2012, he established the Morris and Sarah Ross International Fellowship in Vitreo-Retinal Surgery, which funds the training of ophthalmologists from Israel, including, so far, 12 Israeli Jews, three Israeli Muslims and three Israeli Christians. Also in 2012, he and his wife, Ruth, established the Ross Family Scholarship Program for Advanced Studies in the Helping Professions, which funds education for nurses and social workers serving in the underserved peripheral communities of Israel. Their contributions have gone to select students at Ben-Gurion University (BGU) and they have been recognized as founders of the university, in honour of their contributions. The Ross Foundation appears on the walls of BGU’s Marcus Campus in Be’er Sheva. extended its activity to another initiative – the Project for the Advancement of Employment for Ethiopian Immigrants, which supports the education of engineers, web developers and others. Ross and Shein explained that, even when given support to pay for education, many underprivileged Israelis cannot afford to stop working and go to school full-time. The Ross Foundation’s initiatives give recipients a stipend that allows them to stop working and complete a course of education. The foundation is also supporting other communities facing challenges in the workplace, like Arabs and Charedim. “JDC empowers all Israelis as a social innovation incubator, developing pioneering social services in conjunction with the Israeli government, local municipalities, nonprofits and other partners to lift the lives of Israel’s children at risk, elderly, unemployed, and people with disabilities,” Michael Geller, JDC’s director of media relations, told the Independent. Operating since 1914, JDC has provided “more than $2 billion in social services and aid to date,” he said. The JDC funds and organizes experimental programs in the hope that the government will see their success and launch similar efforts. “We’re looking to pilot programs that can be adopted by the Israeli government,” Ross said. “Hy and Ruthie Ross really get Israel,” said David Berson, executive director of Canadian Associates of BGU for British Columbia and Alberta. “They speak the language of social impact and they lead by example. I am so impressed and moved by their understanding of the human equation for social change. Great training, proper guidance and supportive accompaniment can lead to gainful employment. One night in the Dutch village of Moordrecht, the call went out: the Nazis were doing a round-up. In a round-up, the Nazis would surround a neighbourhood and then search house by house for those they hunted: Jews, resistance fighters and others they deemed enemies. Wim Kalkman’s family rushed to prepare for their arrival: two Dutchmen who refused to work as forced labour building battlements for the Nazis were taken through a trap door under the carpet in the living room. The really dangerous guest of the family, however, was hidden in plain view. Tanta Ina, they called her, saying she was an aunt who had fled the battle zone on the coast to find refuge with the family. Tanta Ina was not related to the Kalkmans, however. She was a Jewish woman, the widow of a Dutch-Jewish nobleman who the family had been urged to protect by Reverend Henk Post, the brother of Dutch resistance fighter Johannes Post and a fellow clergyman to Wim’s father, Dirk. Dirk Kalkman, a pastor in the Dutch Reformed Church, and his wife Klaasje, had taken Catharina Six tot Oterleek-Kuijper in and given her a new identity. They hid her, with the help of their four children, from 1943 to 1945, at great personal risk. On that fearful night, the Nazis did not discover the two Dutchmen or Tanta Ina, who sat on the couch with the rest of the family while they were all interrogated. When a Nazi soldier asked young Wim if the family was hiding anyone, he broke into a gale of nervous laughter, which confused the Nazis, who also began laughing. Fearful of Wim’s sister, who was suffering from diphtheria, the Nazis rushed their search and left. This was the story that was told to Wim’s son, Peter, and his grandson, Matthew, both of whom were in Vancouver Nov. 7 to receive the Righteous Among the Nations award from the consulate general of Israel in Toronto and Western Canada and the Canadian Society for Yad Vashem, on behalf of Dirk and Klaasje Kalkman. Righteous Among the Nations are non-Jews who assisted or sheltered Jews during the Holocaust, often at the risk of great peril for themselves and families. The project was established by Yad Vashem in 1963 and to date has granted the award to more than 26,000 people. It had been Wim Kalkman’s lifelong dream to see his parents honoured for their heroism, as Matthew Kalkman told those gathered at the Rothstein Theatre for the ceremony. After Peter Kalkman read his father’s account of that terrifying night and told the story of his grandparents’ protection of Tanta Ina, Matthew Kalkman gave an emotional speech, often through tears, about the importance of his great-grandparents’ actions to his own life. He said he had first connected with the reality of what his great-grandparents had done when he visited the Anne Frank Museum in Amsterdam. When his grandfather Wim died in 2014, they discovered a note expressing his dying wish that Wim’s father be honoured. Matthew took up the task personally and, together with researchers in the Netherlands, was able to find definitive evidence of what happened in the Kalkman household so many years ago. The award was given to the Kalkmans by Consul General Galit Baram on behalf of the state of Israel and by Josh Hacker on behalf of the Canadian Society for Yad Vashem. Liel Amdour, a classical guitarist born in Israel, played two pieces of music that embodied hope and rebirth, and Dr. Ilona Shulman Spaar, education director of the Vancouver Holocaust Education Centre, and Salomon Casseres, president of the Jewish Community Centre of Greater Vancouver, also spoke, as did Karen James, the chair of the Jewish Federation of Greater Vancouver board. All of the speakers touched upon the importance of remembering the heroes of the Holocaust as inspirations in the current times of resurgent nationalism, racism and xenophobia. Dresner has memories of playing ping-pong with Jesse Jackson, making paper dolls with Abraham Joshua Heschel and being read bedtime stories by Elie Wiesel. Her father, Samuel Dresner, was a rabbi and a renowned scholar of Chassidic thought. He was a close personal disciple of Heschel, who is widely regarded as one of the most important theologians and Jewish ethicists of the 20th century. Dresner, herself an artist, dancer and academic for years before heeding the call to become a rabbi, walks softly and carries a big soul. Since coming to Vancouver to head Or Shalom after Rabbi Laura Duhan Kaplan stepped down from the pulpit to take on a role at the Vancouver School of Theology, Dresner has made waves by bringing a new range of creative programming to the shul. 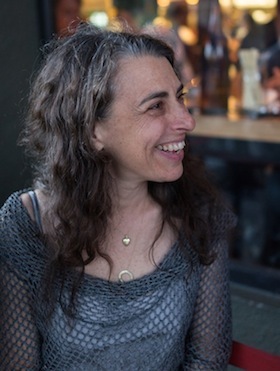 Events have included a dance troupe performing an interpretation of a Chassidic tale to live jazz music, a Shabbaton on Jewish wisdom about the afterlife, and guest Rabbi Benay Lappe teaching how to queer the Talmud. 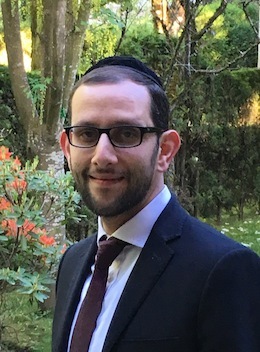 Most recently, Dresner has again broken new ground in Vancouver, by being chosen head of the Rabbinical Association of Vancouver. She is both the first woman to hold the position and the first Jewish Renewal rabbi. The Jewish Independent spoke to Dresner just days after she had convened her first meeting as chair. She said she was heartened to see that her election was a comfortable choice for the mainly male membership of the RAV – Rabbi Carey Brown is also a member – and an exciting opportunity for her to serve both her own shul community and the wider Vancouver Jewish community. “I see this as a way for Or Shalom to be more visible as a legitimate part of the Jewish community of Vancouver, to bring our own sensibility to fostering kinship between rabbinic colleagues, and an opportunity for myself to serve the Jewish people,” she said. So far, Dresner – who said she is very much still learning the ropes of the RAV – has innovated by introducing a session of group Torah study into the association’s meetings. Dresner is known for combining traditionalism and progressive Judaism, including a commitment to “deep ecumenicism,” an openness to the wisdom not just of the different denominations of the Jewish community but the different religious traditions of humankind. This is what drew her to the Jewish Renewal movement founded by Reb Zalman Shachter-Shalomi. Renewal is known for its embrace of both traditional liturgy and observance and Torah study with feminist, ecological and ecumenical perspectives. Before becoming a rabbi, Dresner went to Barnard College to study dance and art then taught at the Ramaz School in New York. She went to graduate school at the University of Chicago and got her master’s in fine arts, becoming an exhibiting painter at a blue-chip gallery, with a career as a working artist while teaching in MFA programs. Her longest tenure was at Northwestern University for 10 years, where she was tasked with inventing new undergraduate courses across the arts. When Dresner got married and had children, she felt the need for a prayer space tolerant of young mothers, a community in which to raise kids. She founded the Lomdim Chavura, which some quipped stood for “lean, mean davening machine.” The group met on Shabbat mornings and co-parented – they “birthed each other’s babies into life, and doula’d community members into death as well,” said Dresner. “It was spiritual improvisation,” she said, noting that the chavura regularly gathered to experiment with new forms of expression. It was within that space that Dresner became interested in leadership and discovered davening and ritual as new spaces for her creative expression. She began seeing Jewish communal life as another way of being an artist in the world. Dresner said her discovery of the seamlessness of those things made her transition into the rabbinate very natural. “It is about translating those family expressions into a larger family,” she said. Dresner was eventually ordained as both a rabbi and mashpia ruchanit (spiritual counselor). She has been two different kinds of CLAL fellow, in the Rabbis without Borders and Clergy Leadership Incubator programs. During her rabbinic studies, Dresner was close with Daniel Siegel, the founding rabbi of Or Shalom, and she was excited when a job opening arose at the synagogue. “Coming here to the congregation that he founded had a lot of meaning to me and I had a lot of respect for Laura, the previous rabbi, as an intellectual as well,” said Dresner. In 2001, Dresner had gone to Berkeley with husband Dr. Ross Andelman to focus on integrating their families. They made a deal: she had left her dream job and moved for him, and he would repay the favour after the kids had graduated high school. Once Dresner was ordained as a rabbi with ALEPH, Andelman, who is known in the Or Shalom community as “the rebbetz” (a play on the traditional name for the rabbi’s wife, rebbetzin) was true to his commitment and left his job as medical director of a county mental health system in Northern California to come here. “He’s a man who acted on his feminism,” said Dresner. One of Dresner’s first calls to public duty as head of the RAV came on Oct. 28, when she led the vigil remembering the victims of the Pittsburgh massacre, which claimed the lives of 11 Jews. Ronit Amihude is a leader with a vision. The new principal at Richmond Jewish Day School (RJDS) has been working in Jewish education since high school and in day school settings for more than two decades. She brings with her a passion for relevant, pluralistic Jewish education, and training in forward-looking pedagogical theory and practice. While at Heschel, Amihude took on multiple leadership roles. After her tenure there, she was recruited to Atlanta, where she became the principal of learning, teaching and innovation at the Epstein School. Richmond Jewish Day School began looking for a new principal after Abba Brodt, a beloved educator and administrator who had been with the school since 2010, left in 2017. Amihude had heard about RJDS over the years and felt it had “the same heimish [homey] feeling as Heschel” and was “a beautiful little school community” that believes all Jewish kids deserve a Jewish education and could be helped to get one. “The feeling I got was that RJDS is a wonderful place where kids are supported and appreciated, where it is not just STEM that is taught, but kindness, perseverance and acceptance,” she said. Amihude applied for the job last December and, after multiple Skype calls and phone chats, she flew out in February of this year and contracts were signed around Pesach. When Amihude spoke with the Independent, it was her fifth day on the job and she generously made time in her hectic schedule to talk. Her first impressions of life at RJDS were resoundingly positive. This fall at RJDS, students took part in the international Kindness Rocks movement, where kids decorate rocks with messages of encouragement and kindness and place them out in the community. The school put a unique spin on this practice by integrating it into the days of teshuvah (repentance/return) between Rosh Hashanah and Yom Kippur. Amihude said an essential part of her mission at RJDS is giving kids the tools to find their own Jewish selves outside of school and to help their families figure out who they are and what they want to be doing. She wants to see a collaborative space where kids can work together to create, to learn perseverance and problem solve.